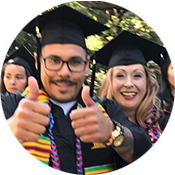 S&P Global Ratings has upgraded Gavilan Joint Community College District's (Gavilan CCD) general obligation bond rating from AA- to AA, which will save local taxpayer money by lowering interest costs for Gavilan CCD bonds. District voters approved Measure X, a $248 million general obligation bond authorization, in November 2018 to construct a new center in San Benito and improve the main Gilroy campus and Coyote Valley Center. Gavilan CCD's upgraded rating reflects the strength of its growing tax base and steady reserve levels according to the S&P report. Additionally, the report commended the improved financial management policies and practices recently implemented. "We have sought to responsibly manage Gavilan CCD funds with conservative budgeting and strong reserves," said Wade Ellis, Associate Vice President. "This rating upgrade is a recognition of our efforts, and it will directly benefit taxpayers as we begin to issue Measure X bonds this year." 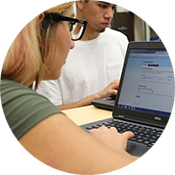 "Thanks to the support of our community, we are able to enhance and improve the learning outcomes for our students," said Dr. Kathleen Rose, Gavilan CCD Superintendent/President. "At the same time we have worked judiciously to maintain and improve our financial position. Our upgraded bond rating affirms the prudent policies set by the Board and the diligent, ongoing efforts of our staff." The higher bond rating from S&P will result in lower interest costs for Gavilan CCD bonds, similar to having a higher consumer credit score. "Over the life of Measure X, Gavilan CCDs upgraded rating could result in over $2.5 million dollars in taxpayer savings," said Mark Farrell of Dale Scott & Company, which serves as financial advisor to Gavilan CCD.